Why Would I Call a Death or End-of-Life Doula or Midwife? 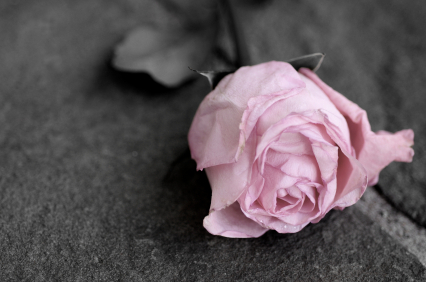 Why Mourning, Death, and End-of-Life Doulas and the Death Midwife? For time immemorial people were regularly exposed to the ‘messier,’ emotional aspects of life, and therefore prepared for managing them. Today we have little experience with emotional realities such as birth and death until we bump right into them, with the exception of the misinformation we encounter on tv and in film. When we inevitably encounter a crisis, we must make difficult choices while in an emotional state. Too often they are made in a fog, as we don’t have the time for researching well-informed choices. The result can be disastrous, financially and emotionally, leaving you feeling victimized. A End of Life Doula works with both the healthy and the terminally ill, exploring options for care prior to death and thereafter. This ensures that one’s care is managed according to their wishes. The End-of-Life Doula ensures you’re fully informed of options, allowing you to exercise maximum control over your medical care and representation, as well as details of what will happen once you are gone. The process of discussing our mortality can create peace-of-mind, paving the way for more joyful living, secure in the knowledge that you’ve taken the steps to secure your wishes. A Death Doula provides physical, emotional, and informational care and support to the dying, oftentimes for those who have opted to die at home, though also at times to those under hospital or hospice care. They will make 2-3 visits, time permitting, and provide coaching support, while also helping create a Death Vigil plan to support you in your final hours, while also perhaps walking with you through a life review, reviewing end-of-life documents and paperwork, and oftentimes providing other forms of assistance. A Mourning Doula is for those with a loved one who has died without taking care of their final arrangements. The Mourning Doula will help you asses a wide range of options, while sharing ways you can mitigate expenses while creating a personalized, fitting celebration of a loved one’s life while saying goodbye. With a Mourning Doula by your side, you can discover the best options for managing your loved one’s remains, while comforted by the fact that you have an advocate by your side to ensure you are fully informed during this vulnerable time. A Home Funeral Doula provides physical, emotional, informational, administrative, and oftentimes ceremonial assistance to those practicing the growing trend of Home Funeral, allowing families to care for their loved ones, creating a meaningful and more connected send-off. Bear in mind, Home Funerals are traditional; it is only since the Civil War that we’ve practiced modern mortuary science, originally started to preserve the body of a soldier being transported home across many days. The demand for the Home Funeral Doula reflects the increasing call to return to the traditional funeral where we care for our dead in a more meaningful and connected way. Please keep in mind that the term Death Doula is also at times used by the Momdoulary Mourning Doula Graduate to reflect comprehensive care that bundles multiple aspects of care together. A Professional Re-Organizer and Personal Artifacts Assistant provides physical, emotional, and informational support as one sorts through the material artifacts following a loss (following any legal mandates). We all know how difficult it can be to let go of the items belonging to a loved one. Whether it is overly emotional or simply physically overwhelming, our graduates are trained to help you navigate this complex, emotionally laden task. A “What Next?” Life after Loss Coach to provide coaching support as you navigate next steps following a loss, which can oftentimes bring with it a change of circumstances. Our graduates are trained in all six areas of support, though they retain the right to organize their services in any way they wish. Some provide comprehensive service in all six areas; some bundle different services together; others opt to specialize in only a few areas so do ask what services are included when retaining a Certified Momdoulary Graduate. As you can expect, some of the roles do experience cross over, or can be combined. For instance, oftentimes a Death Doula will be utilized as a Home Funeral Doula, or as Mourning doula, or will have provided End-of-Life Doula support prior to an individual dying.